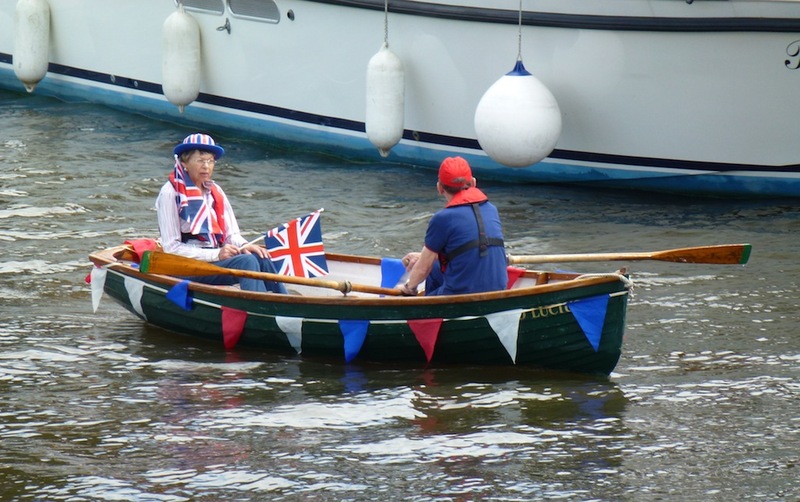 All over the country last weekend, sailing clubs, rowing club, motor cruising clubs and all kinds of other water users came together in a pre-Olympic celebration called ‘Push the Boat Out’ to indicate their support for our Olympic sailors, rowers and kayakers. And I was fortunate enough to be invited along to a special event on the Thames at Weybridge when three of our local clubs – Weybridge Mariners, Desborough Sailing Club and Weybridge Sailing Club – got together to stage a special ‘sailpast’ for the Mayors of Spelthorne and Elmbridge. A huge amount of organisation went into the day – with Alan Woolford of Desborough and Wendy Hurrell, the vice-commodore of Weybridge Mariners, leading the way and ensuring that everything went smoothly. And their efforts were rewarded with one of the best days of the summer so far with bright sunshine and just enough breeze to give the dinghy sailors a brisk outing. 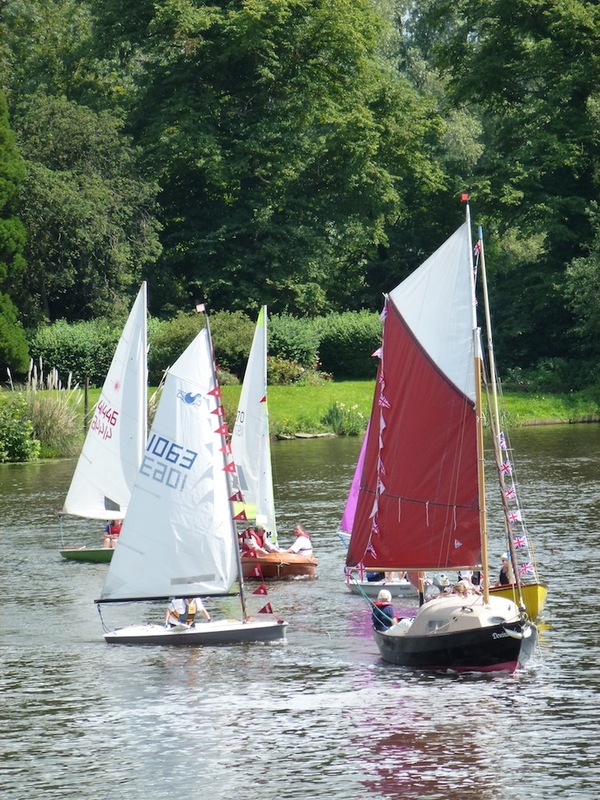 Altogether, more than 50 boats of varying sizes from an eight-foot pram dinghy to a 44-foot cabin cruiser – all bedecked in bunting and with their crews cheering wildly – sailed past the balcony of the Weybridge Mariners’ clubhouse on Shepperton Lock Island, some dipping their ensigns in salute to the Mayors and other guests. Wendy Hurrell, who was looking terribly worried during the lead-up to the sailpast, was finally able to relax as everything went off without a hitch. Spelthorne Mayor Robin Sider and Elmbridge Mayor Janet Turner clearly both enjoyed the day, waving enthusiastically back at the skippers. Weybridge Mariners’ commodore Gill Watson, who organised a fantastic finger buffet for club members and guests, was equally pleased with the day. Personally, I felt privileged to be there as the guest of three of the friendliest boat clubs on our stretch of the Thames. Well done the lot of you! ON a much sadder note, I couldn’t help but mention the tragic loss of a man after the capsize of a speedboat on the river on Thursday evening. Several people contacted me to say that the boat had been seen travelling way over the 5mph speed limit heading up river from Walton towards Shepperton Lock at around 6pm before trying to do a number of really tight high speed turns and flipping over. Two people – a 39-year-old man and an 18-year-old youth – made it to the bank but a third man went into the water and, at the time of writing, has yet to be found. When on earth will people learn that if you set out on the water with the wrong attitude it can be incredibly dangerous?